Colonel William Kenneth Alexander, 89, passed away on Monday, April 1st in Atlanta, GA with his loving family by his side. Born in Somerset, KY, William grew up in Norwood, OH and attended Norwood High School. He studied at the University of Denver and the University of California, majoring in business administration, and he completed the Industrial College of the Armed Forces, National Defense University. Colonel Alexander met the love of his life, Marilyn, while they attended Norwood View Elementary School. Second to his love for his wife and family was his love for his country. He enlisted into the United States Army Air Corps in 1947 at the young age of 17, and he transferred into the United States Air Force in 1950. 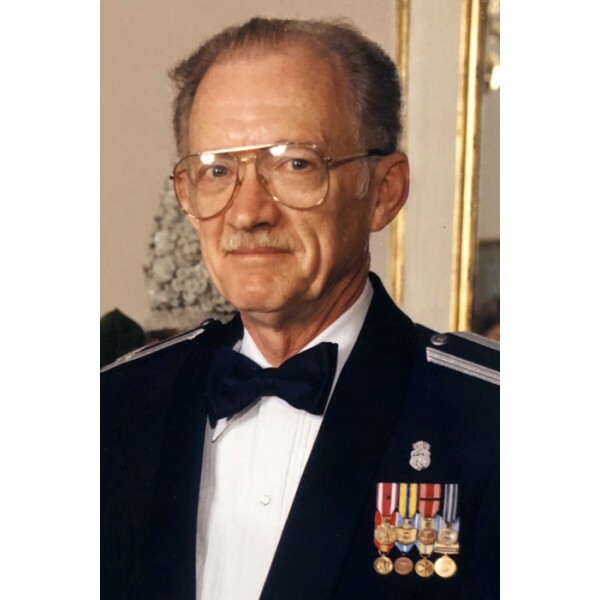 Throughout his time in the military, he bravely served in the United Kingdom during the Berlin Airlift and the HQ 20th Air Force, Okinawa, during the Korean War. William left active duty in 1953 to marry the former Marilyn Hodson, and he joined the US Air Force Reserve in 1957. 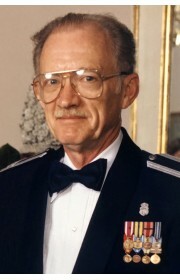 After serving his country for 38 years, 11 months, and 17 days, William retired as a Full-Bird Colonel with military decorations including the Legion of Merit, the Meritorious Service Medal with one oak leaf cluster, the Air Force Commendation Medal, the Air Force Outstanding Unit Award with oak leaf cluster, the Army Good Conduct Medal with two loops, the Medal for Humane Action, the National Defense Service Medal, the Korean Service Medal, the Air Force Overseas Short and Long Medals, the Air Force Longevity Service Award with eight oak leaf clusters, the Armed Forces Reserve Medal with two hour glasses, the Air Force Small Arms Expert Marksmanship, the Air Force Training Ribbon, and the United Nations Service Medal. After retiring from the Air Force in 1989, Colonel Alexander enjoyed many fruitful years of retirement with family and friends in Atlanta, GA. Colonel Alexander is survived by his wife, Marilyn Alexander; his two daughters, Julie (James) Collins and Bonnie Alexander; his brother-in-law who he considered a son Robert (Diane) Hodson; his sisters, Emma Jones, Gerry (Ben) Price, and Barbra (Robert) Klepper; his six grandchildren, Amber (Russell) Boozer, Alexandra (Thomas) Beyer, Aaron Alexander, Spencer Collins, Kenneth Clayton Collins, and Jared Collins; and his nephew Alexander (Ashley) Hodson. He is proceeded in death by his parents, Lester and Mary Alexander; his sister, Christine (John) Pfeiffer; his brother, Carl (Audrey) Alexander; and his nephew, Ian Hodson. Colonel Alexander will be laid to rest with full military honors at Arlington National Cemetery in Washington, D.C. In lieu of flowers, donations in William’s memory can be made to the Air Force Aid Society https://afas.org/ways-to-give/. Details for the Memorial Service will be communicated in the coming weeks. 4 Comments To "Colonel William Kenneth Alexander"